One of the bad things about being on hiatus is that other people write the diaries you wanted to write. Congratulating Bill Gates and Warren Buffett because they are putting upwards of $60 bn in the Gates Foundation, as the press has been doing in recent motnhs with abandon, is incredibly shortsighted. Such massive amounts on any given topic will inevitably lead to reductions in public funding of the same, and transfer decision making on major public policy issues to people whom we may admire but who represent no one but themselves. Worse, once public money is gone, it is unlikely to come back, and policy will end up being decided by entities with no requirement to continue to provide their services, no accountability beyond what they are willing to give, and no coherence with other public policy objectives. Letting the private sector in charge of major planks of our social policy or of our healthcare policy brings about the risk that it will provide a selective service, i.e. will choose who is “worthy” of help, and what conditions they must fulfill to benefit from such help. Jerome a Paris may be French, but what he’s proposing is sound American policy. The reason has its roots in American history — specifically, between the battle between two American economic philosophers in the 1890’s. “Has Andhrew Carnaygie given ye a libry yet?” asked Mr. Dooley. “Not that I know iv,” said Mr. Hennessy. “Does he give th’ books that go with it?” asked Mr. Hennessy. 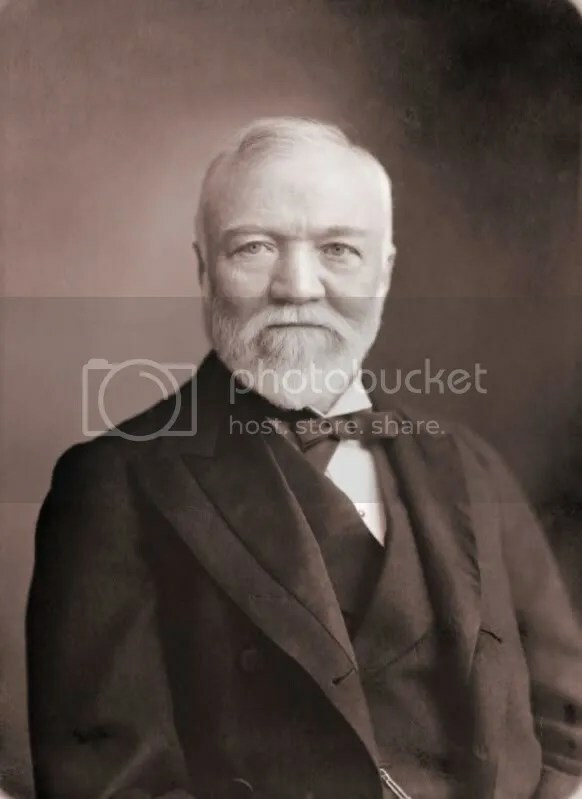 Carnegie…was a Scottish-American businessman, a major and widely respected philanthropist, and the founder of the Carnegie Steel Company which later became U.S. Steel. He is known for having built one of the most powerful and influential corporations in United States history, and, later in his life, giving away most of his riches to fund the establishment of many libraries, schools, and universities in Scotland, America and worldwide. Carnegie first invested in railroads, railroad sleeping cars, bridges and oil derricks. But steel was what made him very rich. Before he invested in steel, he was going to stop working and start helping others, but instead he kept on working and got wealthier and wealthier. He then entered the iron business and discovered steel was very useful and made a lot of money. He founded the Carnegie Steel Company, which made him known as one of the “Captains of Industry”. So far, so good. But what did Carnegie do to get all that money? Killed striking workers, that’s what. [With Carnegie’s tacit support, plant manager Henry Clay] Frick turned to the enforcers he had employed previously: the Pinkerton Detective Agency’s private army, often used by industrialists of the era. … When the private armies of business arrived, the crowd warned the Pinkertons not to step off the barge. But they did. No one knows which side shot first, but under a barrage of fire, the Pinkertons retreated back to their barges. For 14 hours, gunfire was exchanged. Strikers rolled a flaming freight train car at the barges. They tossed dynamite to sink the boats and pumped oil into the river and tried to set it on fire. By the time the Pinkertons surrendered in the afternoon three detectives and nine workers were dead or dying. The problem of our age is the administration of wealth, so that the ties of brotherhood may still bind together the rich and poor in harmonious relationship. The conditions of human life have not only been changed, but revolutionized, within the past few hundred years. In former days there was little difference between the dwelling, dress, food, and environment of the chief and those of his retainers. . . . The contrast between the palace of the millionaire and the cottage of the laborer with us to­day measures the change which has come with civilization. This, then, is held to be the duty of the man of Wealth: First, to set an example of modest, unostentatious living, shunning display or extravagance; to provide moderately for the legitimate wants of those dependent upon him; and after doing so to consider all surplus revenues which come to him simply as trust funds, which he is called upon to administer, and strictly bound as a matter of duty to administer in the manner which, in his judgment, is best calculated to produce the most beneficial result for the community-the man of wealth thus becoming the sole agent and trustee for his poorer brethren, bringing to their service his superior wisdom, experience, and ability to administer-doing for them better than they would or could do for themselves. Here we see the essential patronizing quality of Carnegie’s attitudes toward the poor: the rich are naturally better because of their wealth, and are thus able to do for the poor “better than they would or could do for themselves.” Implicit in this notion is an indictment of the democratic process by which all people are allowed to choose their representatives and, through taxation (not income tax as of yet), how their money was spent by their elected government. Instead, their cash was to be wrung from them by businessmen, who would then determine how best to spend the money of the poor. The institution of a leisure class is found in its best development at the higher stages of the barbarian culture; as, for instance, in feudal Europe or feudal Japan. In such communities the distinction between classes is very rigorously observed; and the feature of most striking economic significance in these class differences is the distinction maintained between the employments proper to the several classes. The upper classes are by custom exempt or excluded from industrial occupations, and are reserved for certain employments to which a degree of honour attaches. With the primitive barbarian, before the simple content of the notion has been obscured by its own ramifications and by a secondary growth of cognate ideas, “honourable” seems to connote nothing else than assertion of superior force. “Honourable” is “formidable”; “worthy” is “prepotent”. A honorific act is in the last analysis little if anything else than a recognised successful act of aggression; and where aggression means conflict with men and beasts, the activity which comes to be especially and primarily honourable is the assertion of the strong hand. The naive, archaic habit of construing all manifestations of force in terms of personality or “will power” greatly fortifies this conventional exaltation of the strong hand. The point Veblen was getting at was that Carnegie and his fellow businessmen had no natural prerogative to dictate social policy to the nation, or to take individuals’ money in order to “better” them with it. 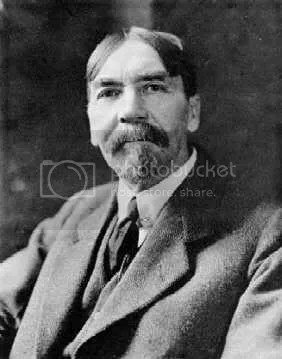 That right (now moving beyond Veblen) ought to be reserved for the government, which was elected by the whole people. A concurrent argument would be that a charitable millionaire, lacking a military and bureaucratic structure, simply cannot accomplish the vast amounts of social change and betterment than can be achieved by a government. For a particularly notable example, let’s look at the impact of charitable organizations and of the federal government on that biggest of American social problems in the nineteenth century, slavery. On the charitable front, the American Colonization Society ginned up a small heap of money and sent some lucky slaves off to Liberia. On the governmental front, Abraham Lincoln raised an army, issued the Emancipation Proclamation, and freed the slaves in toto. Which side had the most impact? Equally important, which side had the most right to have an impact? The founders of the American Colonization Society did not speak for all of America, but Lincoln, having been twice democratically elected (once by the entire country), did speak for the whole people. As head of the federal government, Lincoln was uniquely empowered both to have the greatest possible impact on the problem and to be as certain as possible that America as a nation agreed with him. As President, he had both the right and the ability to end slavery in one fell swoop — something no charity could possibly possess. As Veblen so presciently pointed out, the privatization of charitable giving as advocated by Carnegie is both ineffectual and antidemocratic. Charity may begin at home, but it is the government’s job to ensure that it ends with a fair and equitable distribution of wealth and opportunity. I agree with Jerome: if you want to help people, vote for liberals (or Socialists, if you’re in Europe). Don’t give them some money and expect that you’re solving the problem. This entry was posted on Saturday, October 6th, 2007 at 6:21 pm and is filed under Uncategorized. You can follow any responses to this entry through the RSS 2.0 feed. Responses are currently closed, but you can trackback from your own site.